With the most advanced FISH applications worldwide (clinical and research), complete coverage of all commercially available FISH probes, and the vast knowledge and experience we have accumulated over the years, we are world leaders in the field of automated FISH imaging and analysis. 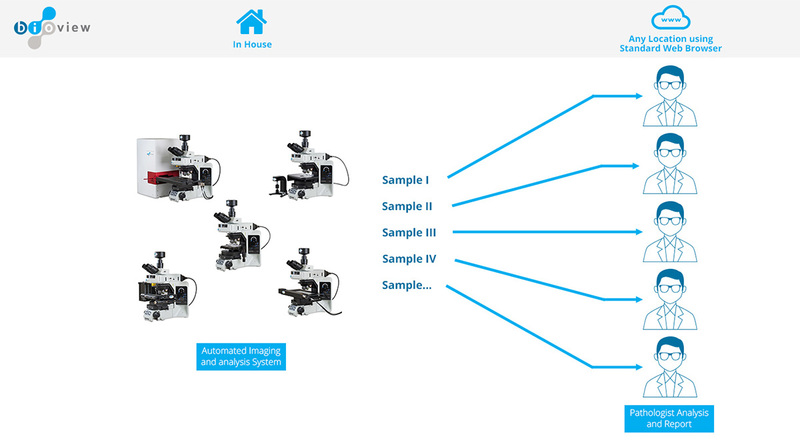 BioView’s wide portfolio of automated scanning configurations provides a solution for all sample volumes and types, automation levels (including manual, semi-automated and fully automated unattended scanning), slide loading systems and scanning configurations. 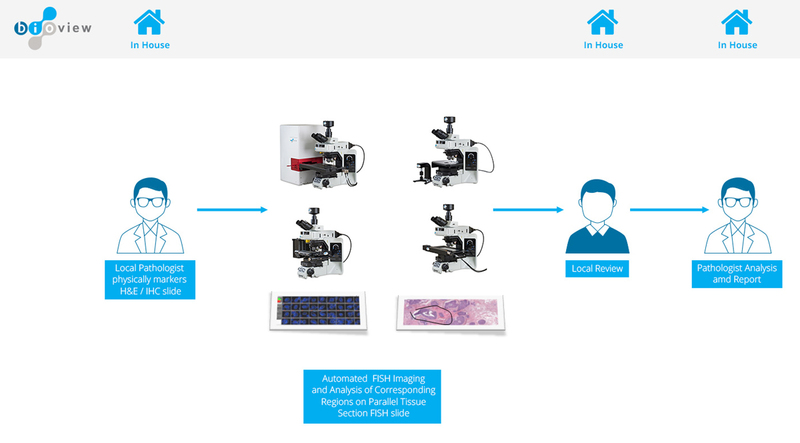 With FDA cleared applications and a CE Mark for BioView products; BioView has the most regulatory approved fully automated FISH imaging and analysis applications of any company in its field. BioView scanning platforms, can accommodate multiple FDA cleared and CE marked applications, thereby maximizing the versatility of the platform. Our automated solutions do exactly what you would do yourself. We simulate manual sample analysis with the greatest precision because we’ve made it our goal to know what you want and need. The result is reliable digitalization you can trust. Through hands on experience working with many types of laboratories, workflows and users across the world, BioView has acquired vast practical knowledge that was translated into creating products that perfectly suit a wide range of facilities, tests and needs. Being as familiar with the intricacies of the processes as they are, enables BioView’s products to simulate the professional’s manual microscope operation, from comfort of the office desk. The Z-Stack Capture for example, allows the user to move between focal layers simulating the user’s natural interaction with the microscope. Raw, non-enhanced images, automatically captured using individual filter, are easily accessible, allowing professionals to apply their own judgment and maintain control. We have integrated the very best hardware components, and have developed the most advanced algorithms and platforms, packaged in a user friendly interface, in order to create the most advanced automated processes; while providing professionals with all the tools required to apply their own judgment and maintain control. Leaning on state-of-the-art hardware including a sensitive, high resolution digital camera and oil immersion objectives that increase the imaging resolution; BioView products produce accurate, finely detailed image with a high signal-to-noise ratio. Through software controlled focus and exposure per field, multiple focal layers are captured, signal intensity is maximized and low levels of background noise are maintained. 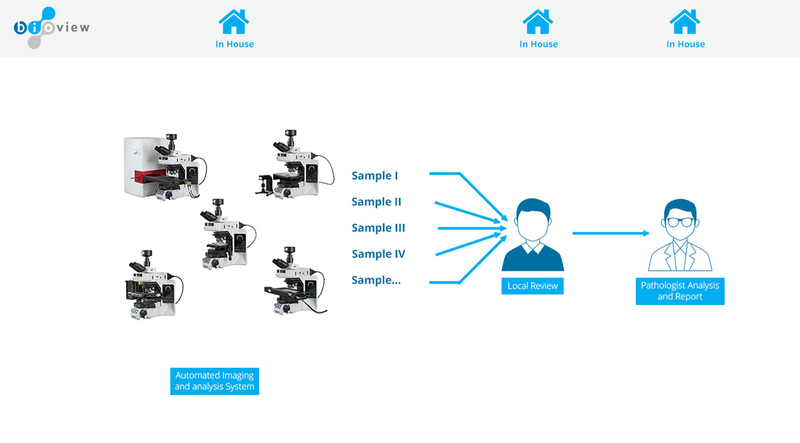 Automatically applied image processing algorithms were designed accurately extract clinical information obtained from multiple focal layers for each cell through the different filter images; providing faster and more accurate review and report. BioView’s multidisciplinary team of biologists, physicists and software engineers design user-centric solutions that facilitate and ease human review and analysis procedures, minimize fatigue and improve efficiency and productivity. By mastering industry knowledge, we are able to create dedicated algorithms and applications tailored to new probes and markers, support all laboratory workflows and develop ‘best practices’. Taking into consideration the marker-specific typical and atypical patterns, signal intensity, tendency to split and interact with additional markers, as well as additional unique characteristics, the dedicated application reproduces and mimics manual scoring in the most effective and repetitive manner. BioView is committed to the continuous release of new FISH applications as they are released to market, and is actively involved in development of new FISH assays, ensuring the availability of automation processes as soon as new assays are available. 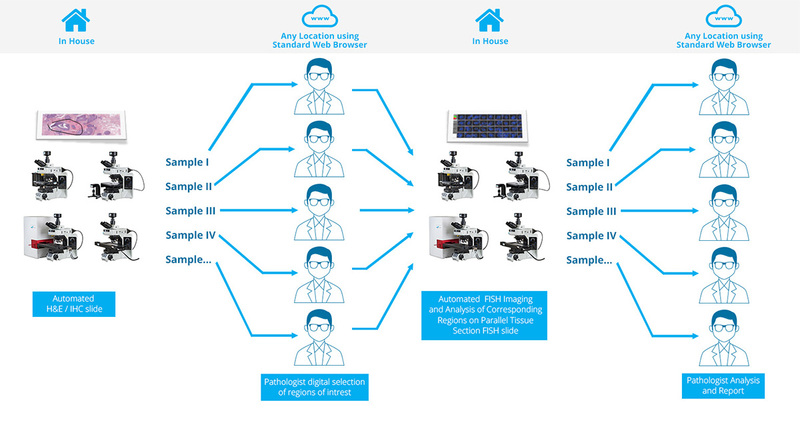 BioView’s flexible and scalable solutions are based on laboratory ‘best practices‘ and support various workflows, to provide a perfectly suited imaging and analysis automation solution that increases efficiency, productivity and the quality of the reported results. 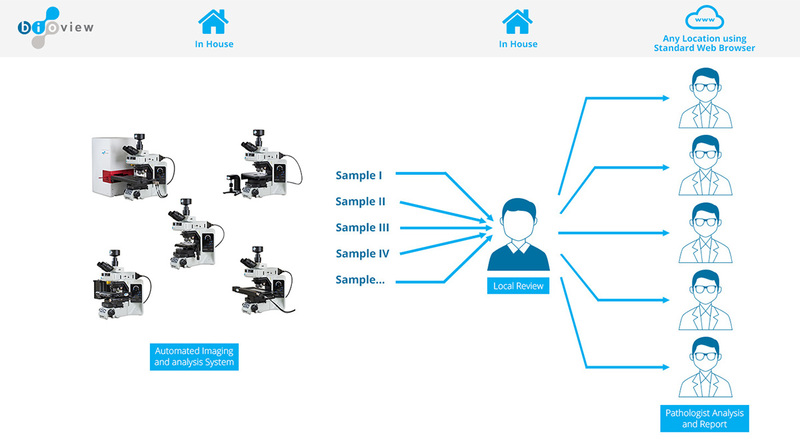 Ranging from a fully “microscope free” workflow to a semi-automatic solution, BioView’s systems were designed to minimize the operator’s interaction with the scanning system, putting an end to the discomforts involved in manual testing – prolonged sitting, high visual demands and repetitive adjustment of the microscope. BioView’s range of solutions ensures a perfect fit for any laboratory regardless of budget, sample volume and sample types, and can be seamlessly integrated into any workflow or existing information system.